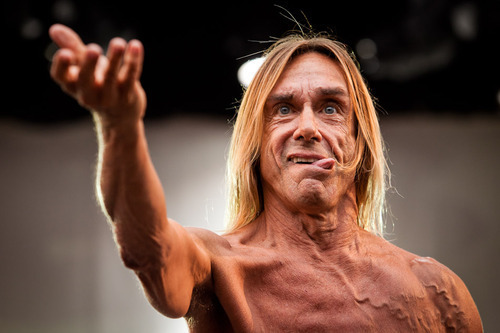 We love Iggy Pop. Aside from his amazing his body of work—particularly his seminal records with the Stooges, which only sound better as the years go by—we love his amazing body; the sinews, the wrinkles, the blood vessels the size of fat earth worms. He’s wildly attractive and wildly repulsive all at once—no small feat at any age, but a miracle at 65. He’s icktastic, grossexy and fuckusting: everything an old punk should be. But a bobblehead? No no no. We’re sure Iggy’s head is big enough as it is. Besides, this one looks like George Bush, Senior in a wig. * - Contest void in states where heroin is illegal.